Locksmith White Rock strives to provide same-day service for your convenience. Our experienced locksmiths will service locks and keys for any type of automobile. We will unlock any car door and produce a replacement key for any ignition. You can count on our technicians to be prompt, helpful, and friendly. We offer impeccable repair, replacement, and installation on all brands of auto locks. We are a local auto locksmith that is committed to excellent customer service. You go into the grocery store and come out to find you have locked your keys in the car. It is late at night and you are suddenly feeling stressed and frustrated. Do not panic. 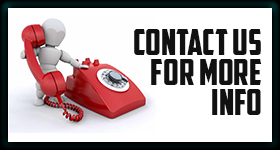 Give us a call and we will provide the quick car lockout service you need at a very reasonable rate. In our many years of experience, we have opened many different car doors. Our highly trained locksmiths use the best tools of the trade to open any door quickly and effectively. If your door is locked because you misplaced the keys; we offer exceptional ignition key replacement service too. We offer accurate and awesome auto locks change service. If your car door locks are damaged or not functioning properly we will change them out with quality replacements. We will replace traditional key locks or push-button products as well. 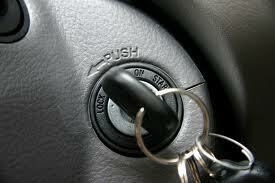 Our automotive locksmith in White Rock will also replace your ignition if it goes bad. Did a key break off in the lock or ignition? We can extract broken keys in minutes. You can also call us to unlock automobile trunks. Whether you need an automobile key made or new locks installed in your vehicle; we will do the job right. Every locksmith on our staff shares a common commitment to providing exceptional customer service. Our response times are truly fast and the professional results we provide of the highest quality. Schedule a service call with our automotive locksmith in White Rock right now.